Living in London means we get used to having lots of choice, sometimes too much choice, for instance, how do you find the best plumber in London? Look through the phone book, or search the Internet and you will find hundreds of plumbers in London. How do you choose one? You could pick the first one on the list; but just because their name is ‘AAAdvanced plumbing services’ doesn't mean they’re going to be the best. A better approach is to phone a few (or many) until you get the right answers to your questions. When speaking with them, find out what experience they have, are they certified and do they have the correct qualifications. Be specific on pricing; is there a call out fee, will they provide a fixed quote or do they work on an hourly rate and what does their warranty include. If you need the job doing quickly, when can they see you and how long do they expect the repair to take? All good plumbers in London will be able to answer your questions and give you a clear understanding of what to expect from they service. The easier solution is to give us a call. 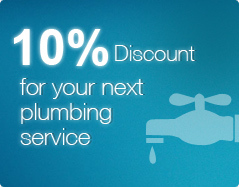 VHC Plumbing and Heating is one of the best plumbers in London. Our certified engineers provide a fast, high-quality service to all our customers, we’re available 24/7 and our rates are exceptional. So rather than searching through all the plumbers in London, give us a call or keep our number safe for when you do need it.